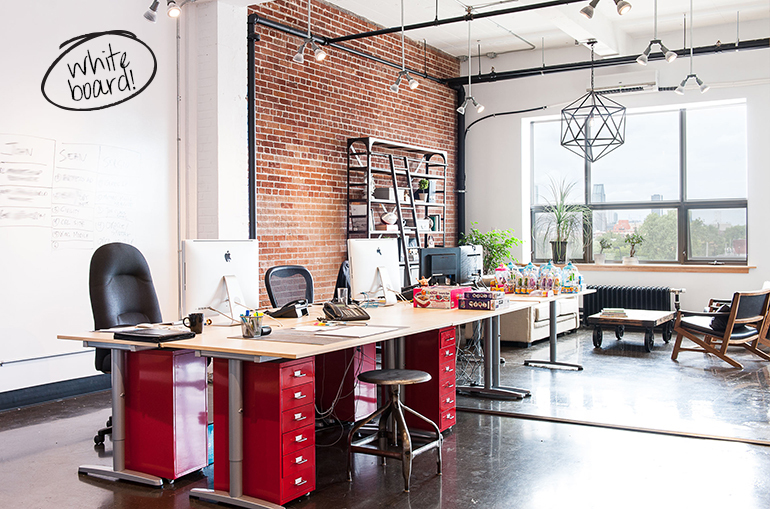 Montreal based marketing company Canspan BMG, moves to a new light-filled office space with an urban-industrial vibe. 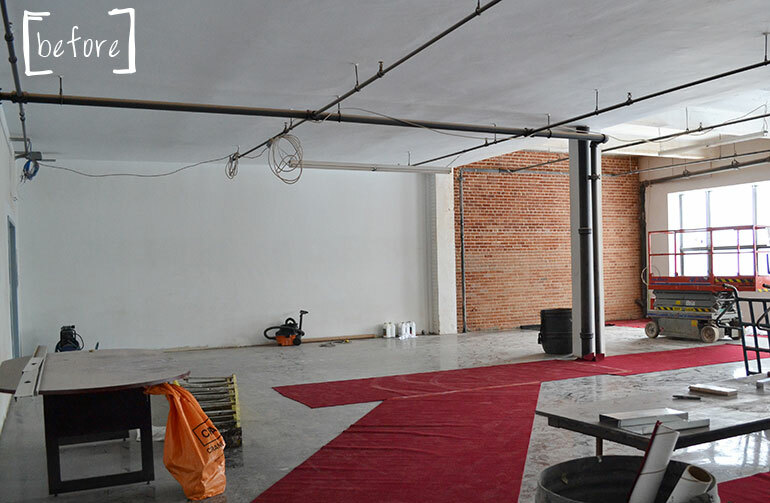 The space began as blank canvas. The goal was to create an inviting open-concept space that encourages team work and the free-flow of ideas. In keeping with the open concept, areas were created using the least amount of walls. 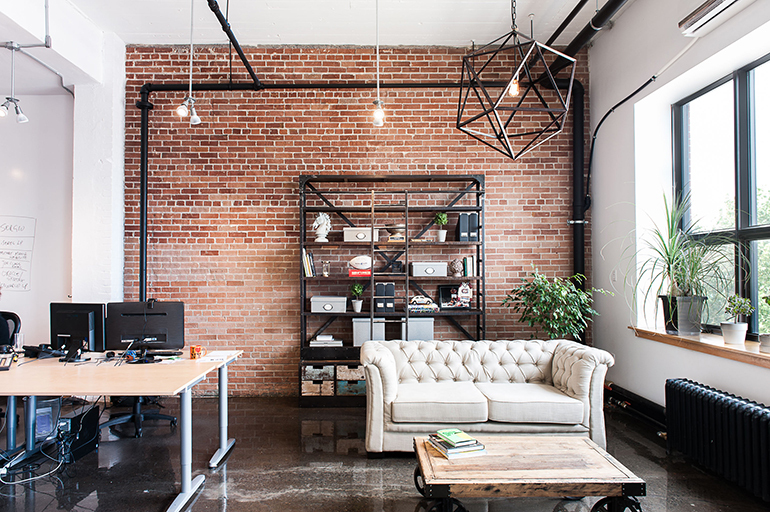 Six workstations and a comfortable lounge area are the focal point of the office. 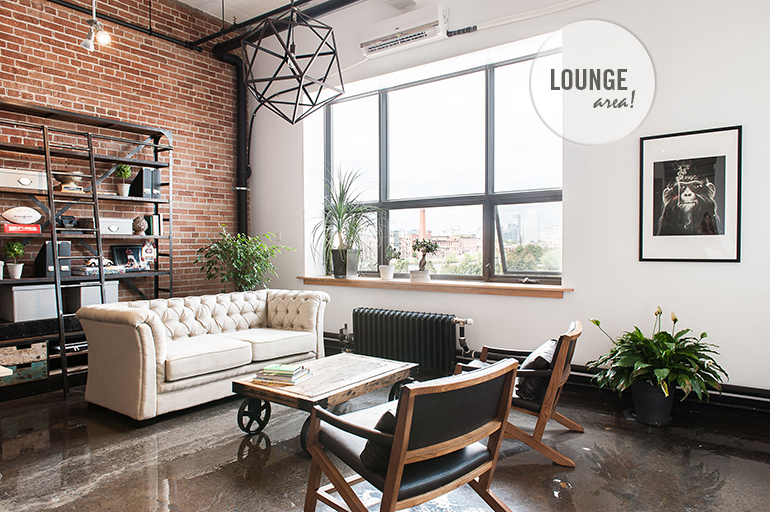 An eclectic mix of vintage, reclaimed and industrial furniture were used to pull the lofty space together. A vintage drafting table, two leather chairs, and pop art add character to the simple reception area. 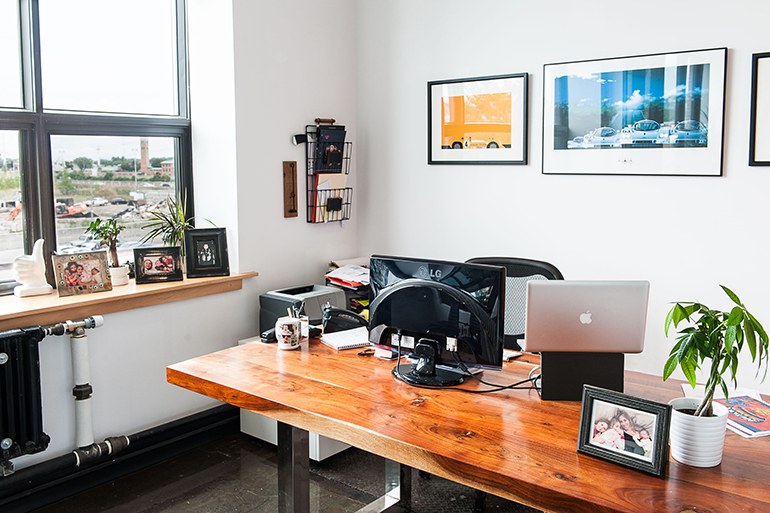 The space is divided from the workstations by a glass partition wall. 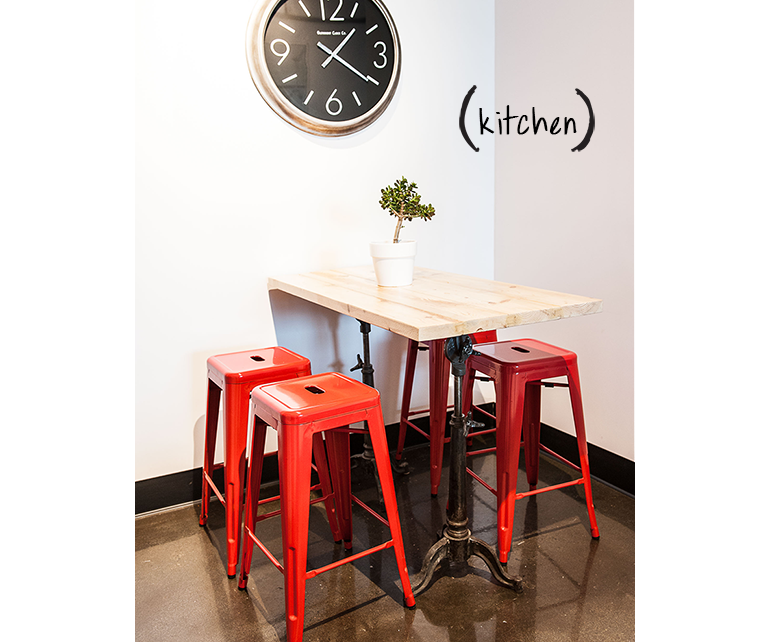 A large reclaimed table paired with contemporary desk chairs. The two private offices and the board room are flooded with light and help keep the open feeling through the use of interior window walls.